This book explores the complexity of Cuban dance music and the webs that connect it, musically and historically, to other Caribbean music, to salsa, and to Latin Jazz. Establishing a scholarly foundation for the study of this music, Raul A. Fernandez introduces a set of terms, definitions, and empirical information that allow for a broader, more informed discussion. He presents fascinating musical biographies of prominent performers Cachao López, Mongo Santamaría, Armando Peraza, Patato Valdés, Francisco Aguabella, Cándido Camero, Chocolate Armenteros, and Celia Cruz. Based on interviews that the author conducted over a nine-year period, these profiles provide in-depth assessments of the musicians’ substantial contributions to both Afro-Cuban music and Latin Jazz. 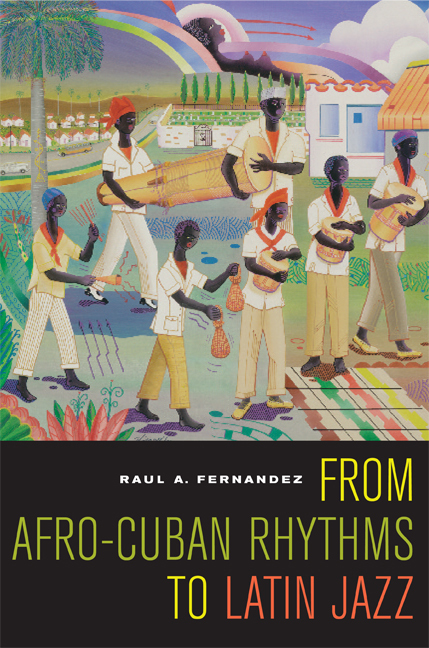 In addition, Fernandez examines the links between Cuban music and other Caribbean musics; analyzes the musical and poetic foundations of the Cuban son form; addresses the salsa phenomenon; and develops the aesthetic construct of sabor, central to Cuban music. Raul A. Fernandez is Professor of Social Sciences at the University of California, Irvine. He is the coauthor off One Hundred Years of Chicano History: Empire, Nations and Migration (2003), and author of Latin Jazz: The Perfect Combination (2002), and The U.S.-Mexico Border: A Politico-Economic Profile (1977). 8. The Taste of ¡Azúcar!